This rectangular single light guide system can be used as an FEL substitute in a 5.08mm pitch and is held in place on the printed board via press-in lugs. 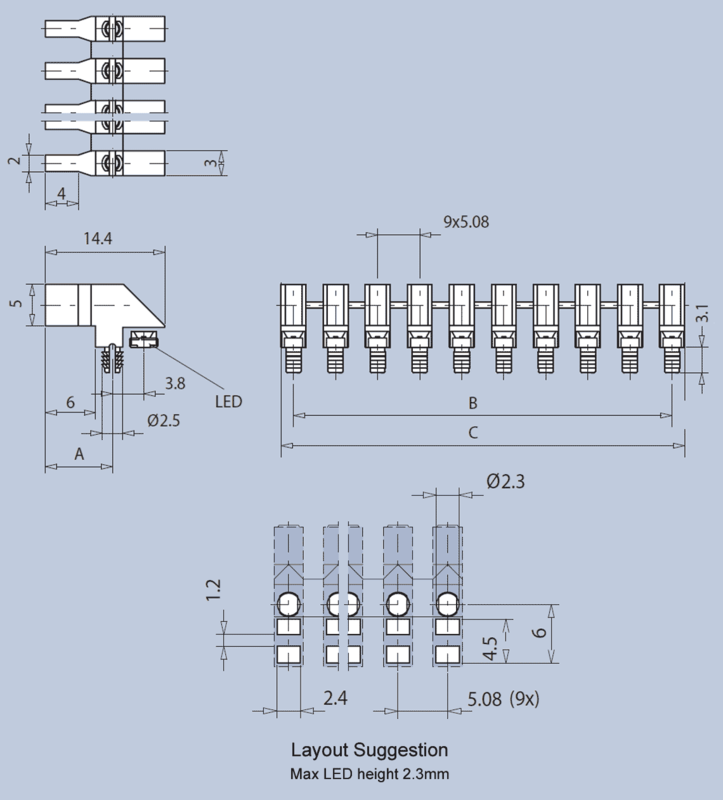 It is designed for SMD LEDs. The system is available in a single row and in variations between 1 column and 10 columns. 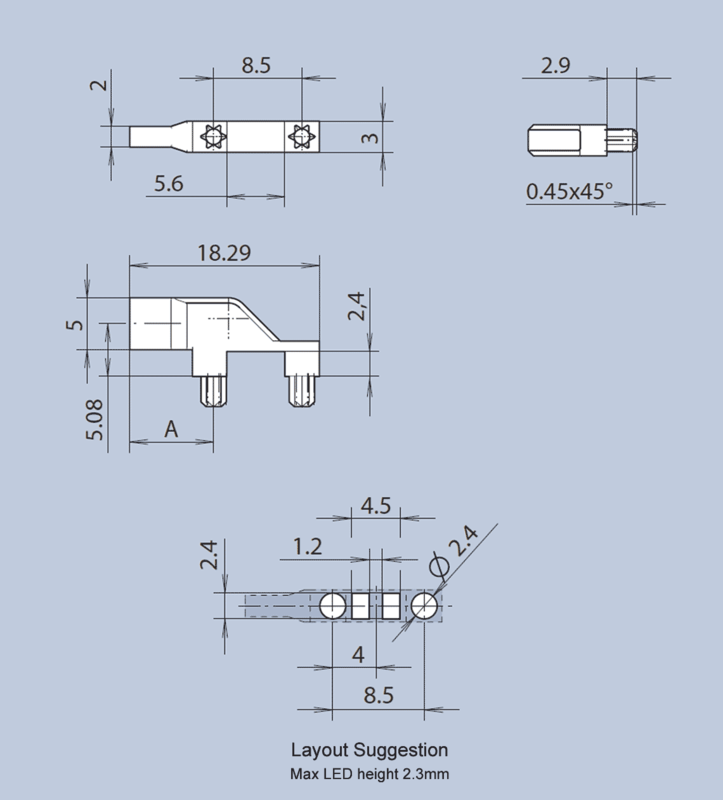 Standard Length A is 8.1mm but infinitely variable custom lengths between 8.1mm and 45mm are available with low MOQs, often with little or no tooling cost.